After my beautiful friend crossed the Rainbow Bridge the other day, I realised that for the first time I am truly alone. With all the other partings, be it divorce, relationship breakups, the deaths of my parents and my brother as well as all the animal friends I have lost, there was always someone or another animal friend to help me through. 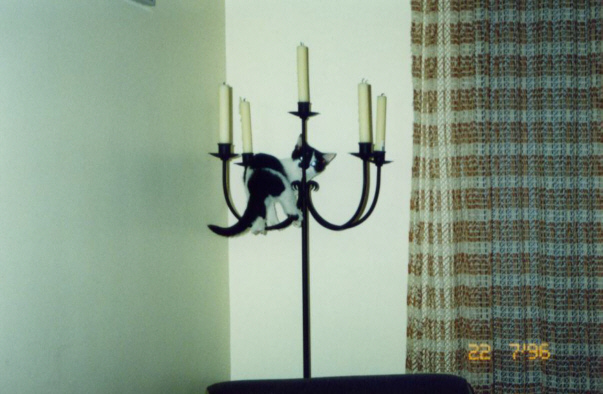 Little Bit was with me for 16 and a half years and for most of that there was only ever the two of us. 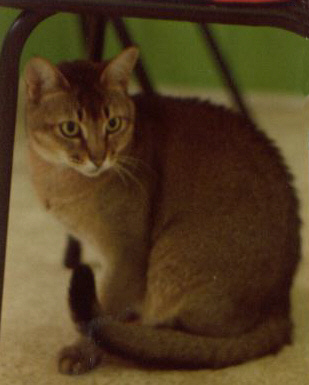 When my handsome Taffy (Sanderlea Aby Taffari – an Abyssinian male cat) passed on after almost 15 years, I had other animals to help and comfort me. Also I went into hospital the next day for major neurosurgery and was out of it for 10 days with several months recovery. Taffy was very family oriented and loved and protected all the babies that came into the family. I didn’t think I would ever find another animal friend like him, but Little Bit stole my heart from the minute I began hand rearing her from 2-3 weeks of age. Generally when an animal was getting on in years I would get another pet to keep them company and to aid in the transition when they were no longer with me. LB had a traumatic experience with a very large tomcat when she was young and after that she hated and feared other cats, so I didn’t get another kitten because I didn’t want to upset her. Being on my own and doing my own thing never bothered me, I was happy with my own company. But now I realise I was never alone. There was always an animal friend with me. I guess I will eventually get another kitten but for now I am alone and grieving.